What’s inside: Take your dream and make it a reality, with this 10-step brainstorming guide about how to start a blog from the ground up. It took 30 years, but I’ve finally found my thing. I stumbled into blogging by accident (and a fateful series of events), not knowing what an incredible blessing it would turn out to be for our family. I didn’t know how to start a blog…I just did it. I’ve turned blogging into a successful and fulfilling career, even though I just kind of “winged it” at first. But it would have been so much easier if there had been someone to show me the ropes! I definitely could have saved a lot of time and made fewer mistakes. Because I believe that there is enough room in the “blogging world” for all who feel called to write and WORK, I love to share my tips for starting a blog. It truly makes my day to hear from a reader who felt inspired or learned something from one of my posts. Most of my blogging posts are geared towards beginning bloggers. 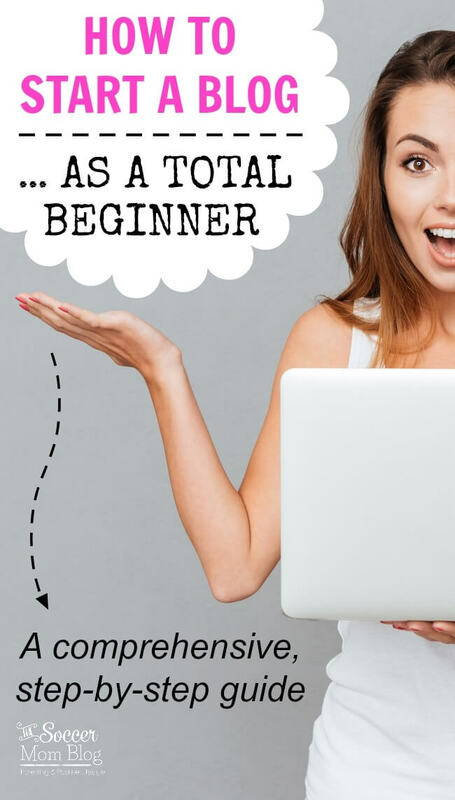 However, in corresponding with some of my readers, I saw a need for even more basic information: how to start a blog from the ground up. Essentially, a step-by-step guide for those who want to blog, but have no idea where or how to start. So I sat down and made a list of the ten things that I did to build my blogging business — from the very beginning. This is a guideline from my own personal experience (your path might end up being slightly different, and that’s ok!) This tutorial is designed to explain blogging basics so you’ll hit the ground running! Before you start writing, or purchase a domain name, or anything else, you need to have an idea of what you want to write about. You might already know a specific niche that’s your calling, for example, a friend of mine created a knitting blog. It’s also ok to think more broadly. If you’ve browsed my site, you’ll see that I cover a lot of different topics. I want my site to be a reflection of what interests me, and a source of inspiration for as many moms as possible. Don’t worry, it’s not the end of the world if you decide your original topic isn’t working. I actually started another blog before The Soccer Mom Blog. However, a couple weeks in, I realized I was trying to write about something that wasn’t my passion. I bought a new domain name, leaving the other one to expire, and never looked back! Once you’ve chosen a topic, it’s time to choose your name. Again, this is not set in stone forever and ever if you decide to move on to something else later. But of course it is awesome if you figure out your online identity from the get-go! Is your blog name a reflection of you and what you’re trying to accomplish? Is the purpose of your blog clear from the name alone? Will the corresponding URL (website address aka “domain name”) be easy for visitors to remember and type? If you’re sure of your topic and domain, you’ll want to snag your blog name before someone else does! 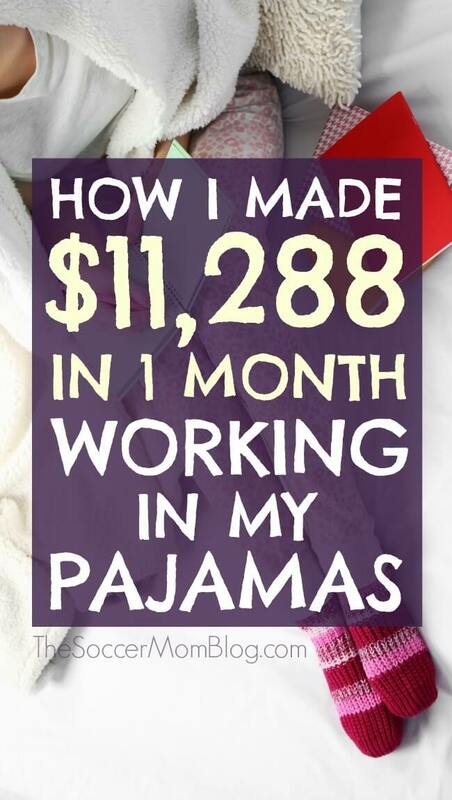 If you have any intentions of making money blogging (even if you think it’s just a dream! ), skip the free blogging sites and get self-hosted right from the get-go! Make sure you’re aware of the difference between WordPress.com (free, but not self-hosted) and WordPress.org (self-hosted). Most free sites won’t let you have ads or do sponsored posts, so if your goal is monetizing, you need to be self-hosted. The Basic plans on Bluehost are only a few dollars per month — a tiny start-up cost if you think about it and well worth it. (Seriously, what other legit business can you start with such a small budget?) You’ll end up paying someone $$ to switch you over later if you start on a free site, so might as well get started on your own domain. A starter plan will serve you just fine until you’re really hitting big numbers. I stayed with the Bluehost Basic plan until I was in the 150K page views/month range (which is serious web traffic)! 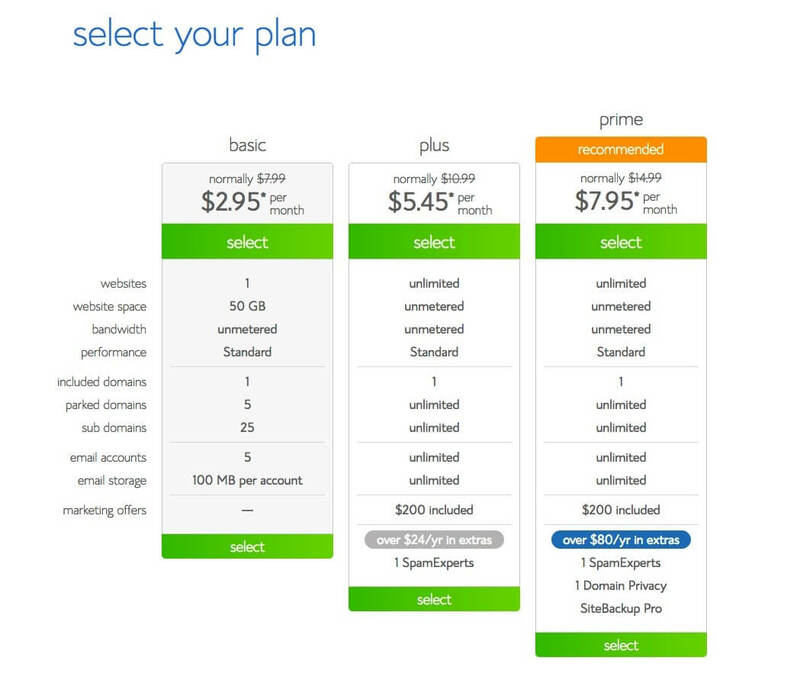 After that point, Bluehost offers a “Blogger” plan which is still very competitively priced. CLICK HERE to create your own self-hosted BlueHost website or HERE to read more about why I chose them for my hosting. Once you’ve secured your domain name, it’s time to create your “look.” A simple logo, website color scheme, and theme. These elements will help identify you and your brand. My biggest piece of advice on blog design: keep it simple and keep costs low! Especially in the early days when you’re not making a profit yet. I was well over 100K monthly page views before I paid anything for outside design work. You don’t need fancy design to achieve success — rather, when you’re successful, you can justify the expense of professional help. A site that is clean and readable will keep me around as a visitor WAY longer than a busy site with a bunch of distracting bells and whistles. Your mission statement/tagline is one statement that sums up your site and your purpose. Not only does this tell readers exactly what your site is about, it also helps you to stay focused when creating content. For example, my tagline is “parenting and positive lifestyle,” a slogan that remains the same as when I started. When I am brainstorming a new post, I always ask myself does this idea help my audience to create a more positive life for themselves? If you’re blog is up and running, there’s no reason to wait to create your corresponding social media accounts. One, you want to lock down your name on each platform. Two, you want to give yourself as much time to grow your following as possible! A Google+ profile helps the Google search engine to index your website, and a YouTube account is a must if you plan to do any video content. Don’t worry if you’re not an expert at all (or any) of these platforms right away. You’ll learn as you go, and most bloggers are stronger on certain social medias than others. Just get them up and running! I waited months to start a Facebook fan page, and I really ended up regretting it! Read more about that and 4 other things I wish I’d known before starting a blog HERE. We’ve already touched on what you want your blog to be about, but do you have a goal for your business? Even if it seems far-fetched now, it’s helpful to set goals for yourself and where you want to go with your blog…and beyond. Is your goal to make enough money to be a stay at home mom (correction: work at home mom)? Or do you see yourself as an entrepreneur that creates products, writes books, hosts events, and more? Decide what you want, and then make it happen! You might not meet all of your goals in the time frame you initially give yourself, but you will never meet a goal that you don’t set. Aim big! Are you publishing content yet? Some new bloggers tell me that they plan to wait until they have a lot of content built up before “going live” and then publishing them all at once. Personally, I see no reason to wait. The day I created my blog is also the day I published my first post. The more time you give people, search engines, etc. to find your site, the better. A bunch of posts sitting in drafts does no good. Go for it! Who is your blogging idol? Do you even read other blogs? Surprisingly, I’ve seen a lot of bloggers admit that they don’t read blogs at all! But there is so much to learn from those that already are successful. I definitely have a few bloggers that I admire — for their quality work and their business path. Positive inspiration is an amazing driving force! However, it is of upmost importance to know the difference between inspiration and copying. Even if it’s the result of innocent new-blogger ignorance, copying is NOT cool. Plus, it won’t benefit you in the long run. Readers don’t want a second-rate knock-off of their favorite blog. But they are always looking for new and exciting sources of inspiration! Be that “something new” they’re seeking! I highly recommend reading this post about Blogging Etiquette to make sure that you know what is ethically expected in the blogging world. Perhaps the most crucial key to success is networking with other bloggers. A small group (local or virtual) of people with similar ambitions is an amazing place to find and share knowledge and support. I belong to several blogging groups and I credit my success in no small part to what I learned there and the friends I made. I created a Facebook support group for bloggers of all levels to do just that! Feel free to join us in Banking on Blogging to learn and grow, and make new blogging buddies! This is the part you might not want to hear, but you need to hear. You might see some bloggers promising that you can make “full time income” with part time hours. Friend, it’s just not true. Like any other business, if you want to see major success, you’re going to put in major effort. I work a LOT. While I am, for the most part, able to decide when and where I work, I still work what amounts to full-time hours. But I’m ok with that because I know that I am building a future for our family and I love what I do. I want you to know this: two years ago I was in your shoes. By the following year I earned twice as much monthly as I did at my previous job. I still pinch myself! But it isn’t luck! Blogging is hard work — there’s always something else you could be doing and the industry is constantly changing. However, this also means that you always have the ability to intentionally change course. If one strategy isn’t working, you can steer yourself in another direction towards success. The only way to truly fail is to give up. 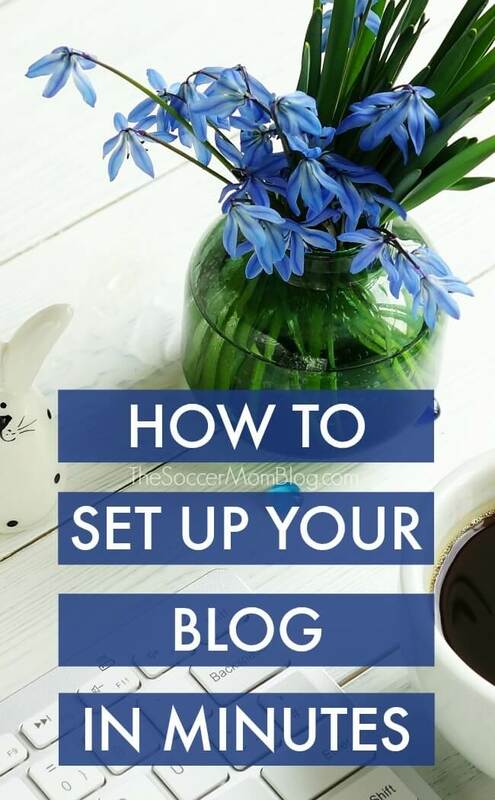 Follow Stacey @ The Soccer Mom Blog’s board Blogging Tips on Pinterest. Great article. I wish that I had these tips when I started my blog. Your attention to having a vision for your blog and taking the steps to achieve key milestones speaks to me from this post. Keep up the great work. You’ve inspired me to strive toward growing my readership! Thank you for letting me know you enjoyed the post Carolyn! I so needed to read this! I have been thinking constantly of starting a blog and just had no idea of how to even begin or go about doing it. This seriously felt like God was talking to me through you and words and giving me the push and confidence I needed to take on my calling. Thank you so much for sharing! Many blessings! Love this post. I’m a dental assistant and have been thinking about starting a blog to allow me to be more creative and be a work at home mom. I’m glad I found your posts! Thank you so much for these “blogstarter” articles. I am wanting to launch a blog after the new year. Two things are holding me up; I have no articles yet and I cannot come up with a name. I have many topics to discuss, so it is hard to come up with an all encompassing domain name. Any advice? Hi Tara – I’m glad you’ve found these posts helpful! A name is so personal, but don’t put so much pressure on yourself that you put off starting your blog. If you decide later on that a new name would be a better fit, you CAN change. 🙂 Try writing down the main topics that you’re passionate about, and looking to see if there is a common thread that connects them all. Is there something you’re known for? Try asking friends or loved ones to describe you in one word, or two words. You might get some interesting ideas that way! Gah, I have sat here for the last 2 days reading all of your blogging tips. This is the only blog that I have felt has actually helped me as a new blogger who is completely lost. Thank you so much. That makes me so happy to hear! (Not that you feel lost, but that my posts were helpful!) I remember what it was like as a new blogger and trying to figure it all out. Even as an “experienced” blogger I still have moments where I wonder what the heck I’m supposed to be doing and wish I had someone to hold my hand through the process LOL. Did you join my Facebook group? Search “Banking on Blogging” on FB – we regularly do Q&A videos and it is a very supportive community! I’m a little stuck and I’m hoping you can help! So, I got a Bluehost plan and I’m wondering if I also need WordPress? I’m new to Blogging and it’s all a bit confusing to me!